Article 44 of the Constitution directs the State to provide a Uniform Civil Code throughout the territory of India. 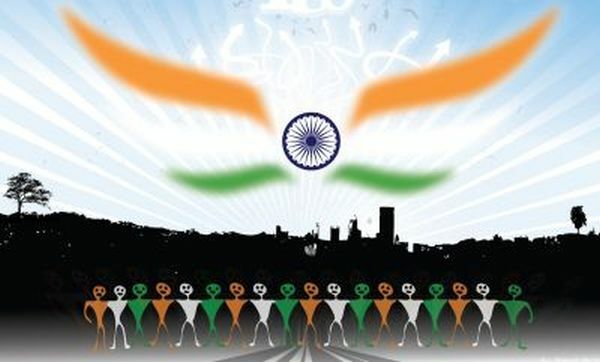 Article 44 which is one of the Directive Principles of State Policy reads as “The State shall endeavor to secure for the citizens a uniform civil code throughout the territory of India.” It envisages administering the same set of secular civil laws to govern different people belonging to different religions and regions. This supersedes the right of citizens to subject themselves to different personal laws based on their religion or ethnicity. The common areas covered by a civil code include: marriage, divorce, adoption and rights relating to acquisition and administration of property. 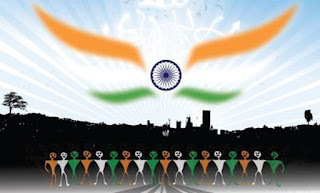 The laws of India, be it procedural or substantial govern every citizen, irrespective of religion, caste or creed. But in matters of marriage, divorce and inheritance, citizens are governed by diverse laws depending on their religion, which are termed as personal laws, though religion is not merely a matter of personal choice. To bring all the citizens within the ambit of common law, there must be a uniform civil code applicable throughout the country. However, uniform civil code is only a Directive Principle of State Policy therefore it cannot be enforced in a court of law. Presently uniform civil code is implemented only in the State of Goa which harmoniously brings all religions under the umbrella of a common civil code and Muslims, Hindus and Christians are bound by the same laws relating to marriage, divorce and succession. 1. There are many personal laws for different-different communities which are creating unnecessary burden on the legal system. Implementing a uniform civil code will reduce burden on legal system. 2. If there will be a common law for all the religions and communities, it will bring unity in the country. 3. As there are different laws in the country, we are not secular in true sense. Laws should have nothing to do with the religions. Enacting uniform civil code will promote secularism. 4. Politicians are using religion for gaining vote-bank. If there will be a common law in the country, then it will bring an end to religion based vote bank politics. 5. Religiously motivated laws are mostly discriminatory to women and gender biased. All laws must treat both men and women equally. No religious law should be able to override this fundamental principle. That means polygamy, unfair inheritance and unfair divorce laws allowed for minority groups must be done away with. 6. Hindus gets tax exemption under Hindu Undivided Family while Muslims are exempted from registering a gift thus saving stamp duty. These benefits are purely based on religion and hence they are unconstitutional. 7. The laws of our land are not made to please any specific religion so there must be common law for all the religions and communities. 8. Different laws for different religions and communities create confusion. 9. 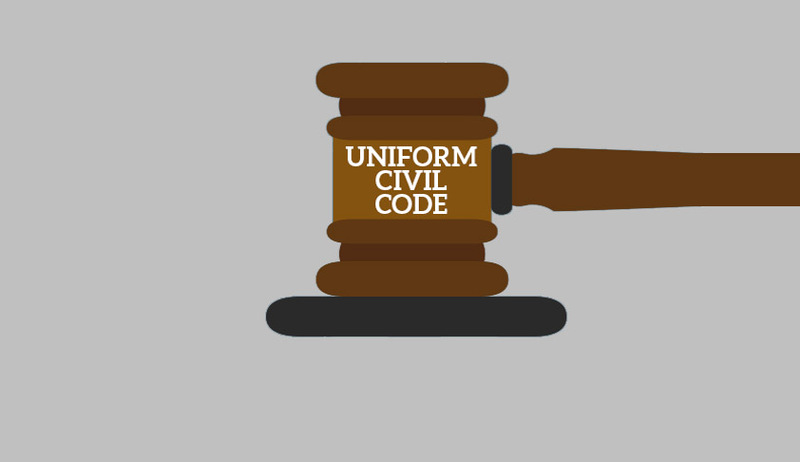 The constitution demands implementation of uniform civil code as it is one of the directive principles of state policy. In the case of Mohd. Ahmed Khan vs. Shah Bano Begum, 1985 SC, which pertains to the liability of a Muslim husband to maintain his divorced wife beyond iddat period, who is not able to maintain herself, the Supreme Court held that Section 125 of Cr. P. C which imposes such obligation on all the husbands is secular in character and is applicable to all religions. In Sarala Mudgal vs. Union of India, 1995 SC, a division bench of the Supreme Court strongly advocated the introduction of a Uniform Civil Code in India. In this case the Supreme Court held that conversion of a Hindu male to Islam only for the purpose of contracting a second marriage is bigamous and Section 494 of Indian Penal Code is applicable in such a case. In John Vallamattom vs. Union of India, 2003 SC, the Supreme Court strike down section 118 of the Indian Succession Act, 1925 as violative of Article 14 of the Constitution. Apex Court held that Article 44 which provides for uniform civil code is based on the premise that there is no necessary connection between religious and personal law in a civilized society. Article 25 of the Constitution confers freedom of conscience and free profession, practice and propagation of religion. The aforesaid two provisions viz. Articles 25 and 44 show that the former guarantees religious freedom whereas the latter divests religion from social relations and personal law. In Maharshi Avadesh v. Union of India, 1993 SC, Supreme Court specifically declined to issue a writ directing the respondents to consider the question of enacting a Common Civil Code for all citizens of India holding that the issue raised being a matter of policy, it was for the Legislature to take effective steps as the Court cannot legislate.